Undoubtedly one of London’s most iconic tea salons, treat yourself to a sumptuous Fortnum and Mason Afternoon Tea experience complete with champagne in Fortnum’s iconic Diamond Jubilee Tea Salon. Situated in the heart of London’s upmarket St. James, this would be perfect to combine with some luxury shopping, sightseeing or a stroll through the beautiful gardens of St James Park. Established in 1707 as a grocery store, Fortnum and Mason has now grown to iconic proportions with a well earned reputation as one of the most prestigious shopping destinations in London. Renowned for its unique and quality gifts such as hampers, elegant wines and spirits, famous teas and coffees it has developed a culinary reputation second to none for its fine dining offerings in its restaurants and bars. Afternoon tea at Fortnum and Mason is served in the elegant surrounds of the Diamond Jubilee Tea Salon. Opened by HM The Queen in 2012 to celebrate her Diamond Jubilee, the Tea Salon has quickly established itself as one of London’s most stylish destinations for an indulgent afternoon treat. Your Fortnum and Mason afternoon tea is presented on a decadent three tiered cake stand. Choose from a selection of seasonal, finger sandwiches with traditional delights including Fortnum’s smoked salmon, honey roast ham with grain mustard and coronation chicken. Your afternoon tea feast continues with exquisite cakes and pastries and freshly baked on-site scones served clotted cream and Fortnum’s preserves. Fortnum’s famous “Tearistas” will guide you through their incredible range of signature blends and infusion teas to accompany your afternoon tea. A chilled glass of Champagne is the final piece de resistance of your luxury afternoon tea experience. Fortnum and Mason Afternoon Tea Dietary Options. 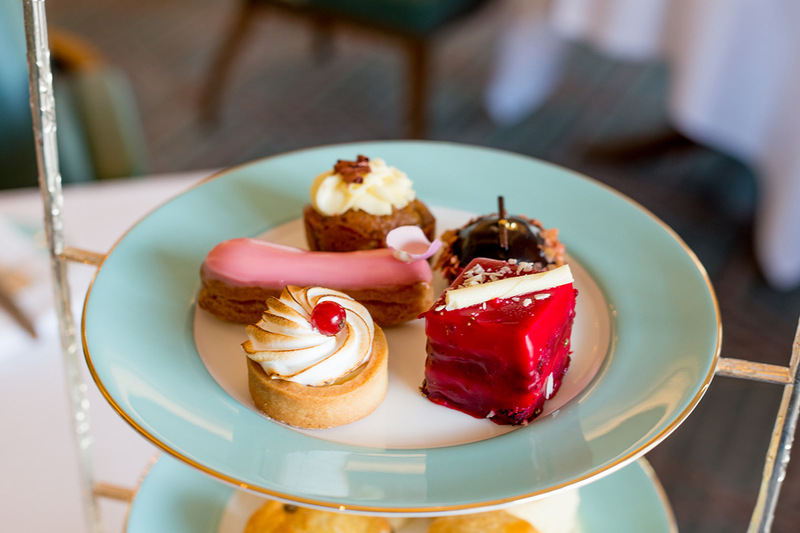 Fortnum and Mason afternoon teas are available in gluten free, dairy free, vegetarian and vegan options. Simply let them know at the time of booking and they will be happy to supply you with an afternoon tea menu specific to your dietary requirements. 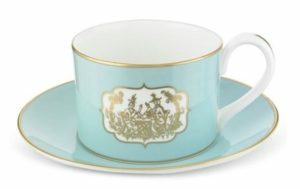 Tea is served on Fortnum and Mason’s very own St James tea set. 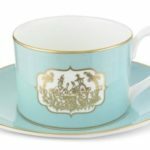 Decorated with an 18th-century-inspired Chinoiserie design, depicting a tea-related moment to set the appropriate tone, this is perfect for a sophisticated cup of tea. If you have fallen in love with this beautiful tea set, you can of-course purchase it during your visit. Take a peek at the beautiful St James tea set . 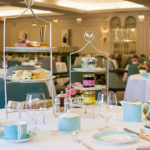 . .
Mail Experiences have an exclusive afternoon tea offer with Fortnum and Mason which includes a glass of champagne (their teas are normally advertised excluding champagne). 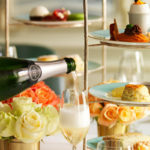 This Champagne Afternoon Tea experience is available to buy as a voucher at a special offer price of £109 for Two from Mail Experiences – surely one of the best afternoon tea deals in London. Whether you purchase this as an indulgent treat for yourself or a gift for a friend to celebrate a special event, this truly is a superior afternoon tea experience. Your Fortnum and Mason afternoon tea voucher is valid for up to 9 months, so plenty of time to organise diary dates with friends or family. To take advantage of this Fortnum and Mason Champagne afternoon tea offer, simply select the Book Now button for further information or to book online. Go on, make someone’s day. 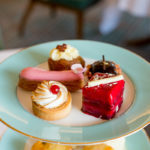 Girls Afternoon Tea: Delighted to offer an exclusive, delicious discount for afternoon tea at Fortnum and Mason, London.